Staff Selection Commission has already announced the notification for Combined Graduate Level (CGL) 2018 on its official website. SSC aspirants also started submitting their online application forms. However, there are only some candidates who will be selected for the posts released by the Commission. Well, the selection in SSC is completely depended on the hard work and dedication that students devoted towards their studies. Because of this they scored good marks and could able to achieve their goals. 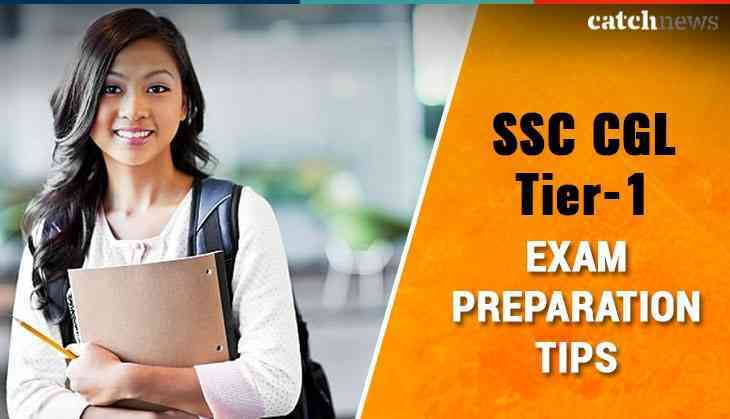 If you are also going to appear for the SSC this year and unable to understand from where to start then, don’t worry we are going to help you and save from going towards the wrong direction during the competitive exam preparation. With some preparation strategies, you can beat the competition and could able to clear the SSC CGL Tier-1 examination 2018. 1. Clear your concepts before starting preparation because the competition is very tough and for the one single seat many students are preparing. Therefore, you have to know the syllabus properly. 2. See the previous year question papers that will help you in understanding the examination pattern and prepared yourself according to the weightage of each and every section. 3. Divide your time according to the topics and strategies that how much time you will donate to a single topic. 4. Solve some sample papers on a daily basis because it will also help you in increasing your speed during the exam time too. 5. Make a notebook in which write every important point that will help you during the exam time in revising all the important and compulsory topics.